It’s two years later after finishing the first draft of my first Novel. I am seriously pursuing publishing my first Novel. I have gone through a lot of different changes since I last edited it and thought about publishing it. 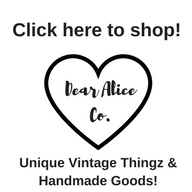 First, I got laid off from my corporate job, we lost a child and I started a handmade & vintage business. 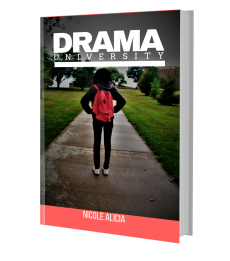 Initially, I started to put this book out under a “pen name” and even started a blog to promote my fiction writing under the name Daysha Devine, but I then I thought about it and I changed back to my original writer name Nicole Alicia (I’ll do a post about pen names later). Writing has always been my passion, but things such as depression and just life straight through me off track from my main mission. Now I’m back pursing being published as an indie author seriously. I first started this blog when I was freelance writing, but now it will serve a different purpose which is to serve as a writer’s platform. I have a finished Novel of about 250 some odd pages and a Novella of about 70 plus pages. The Novella I will be publishing in 2018. I don’t have a definite date for the Novel right now, but I would like to pursue publishing it in Fall of 2017 I’m aiming for about October. As many of you know the road to being published can be quite bumpy especially if it’s your first time. I’m totally excited about sharing here on this blog and going more in-depth about my works.